County inspections may be done using device called a sludge judge, and if the sludge content in the primary solids tank are less than 1/3 solids, pumping may not be necessary. This being said, we believe there are more evaluations necessary than the 1/3 solids county mandate. We look at the age of the drain field and current condition of the system. We look at the current hydraulic load of the system in comparison to the designed load of the system. Last, we look for any red flags that the system or any of the systems components may be in danger of failure. Inspections should only be done by company with a pump truck present. If the inspector doesn’t have a septic truck present, the inspection company generally doesn’t have the ability to pump the tank if necessary. 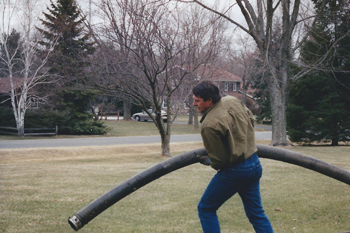 Always use a member of the WLWCA (Wisconsin Liquid Waste Carriers Association) to be sure that your service is being done by the most educated local professionals in our industry.